Final season of the Monogatari Series, part 3/5. Contains the arcs Ougi Formula, Sodachi Riddle, and Sodachi Lost from the Owarimonogatari light novels. A peculiar transfer student named Ougi Oshino has arrived at Naoetsu Private High School. 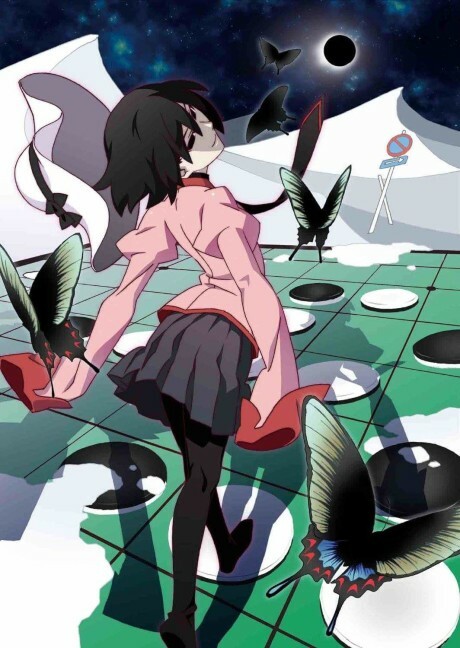 She is quickly introduced to senior Koyomi Araragi by their mutual friend Kanbaru Suruga, in hopes of receiving advice about a bizarre discovery. After examining the school's layout, Ougi notices that a classroom has appeared in a previously empty area—a place that should not exist. Unsure if this is the work of an apparition, Araragi and Ougi attempt to unravel the truth. But Araragi soon learns that the room holds the memory of a life-changing event he had long since forgotten.